It’s no secret that I love fried chicken. Some may consider it junk, or not blog worthy. However, I believe fried chicken is a genuine foodie indulgence, when done right, with the right produce. I have yet to write my own fried chicken recipe in fact, I’ve never made it at home. 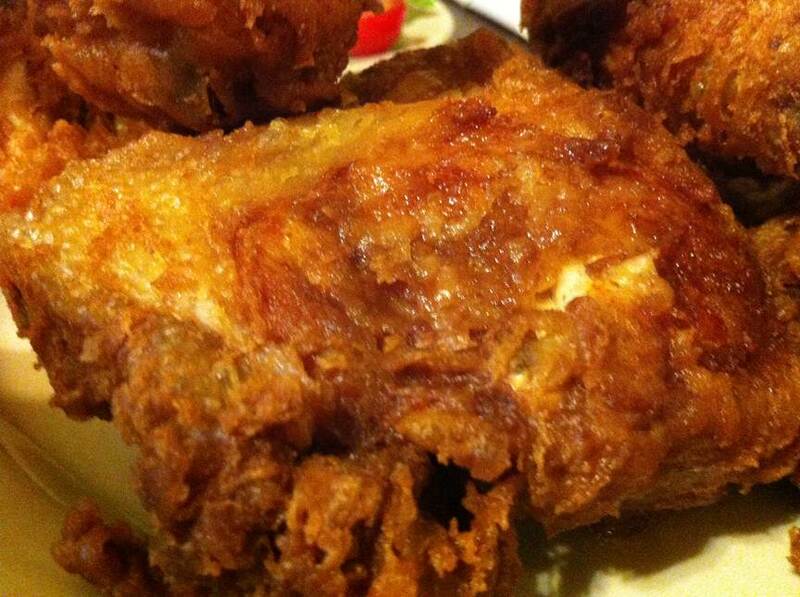 But I’d like to reminisce and share with you a time when I found the best fried chicken I had ever eaten. I’ve been fortunate enough to sample proper game changing, sit up and take notice cuisine from around the world. However, none of those experiences quite compare to the excitement, tension and anticipation I felt when I found myself in New Orleans last summer on the cusp of sampling not only (supposedly) some of the best fried chicken in Louisiana, but in all of America. As massively controversial as it may sound, the best fried chicken I had prior to that moment was sourced from a Beijing branch of a well known international fried chicken brand and subsequently eaten in Tiananmen Square. You may be wondering why would someone who bangs on about culinary tourism eat fried chicken from an American chain in Beijing? That is a very good question. I won’t go into detail but what I will say is that after three weeks in Asia I was craving some Western familiarity, and it was over six years ago. Either way that experience set the benchmark prior to my visit to Louisiana. 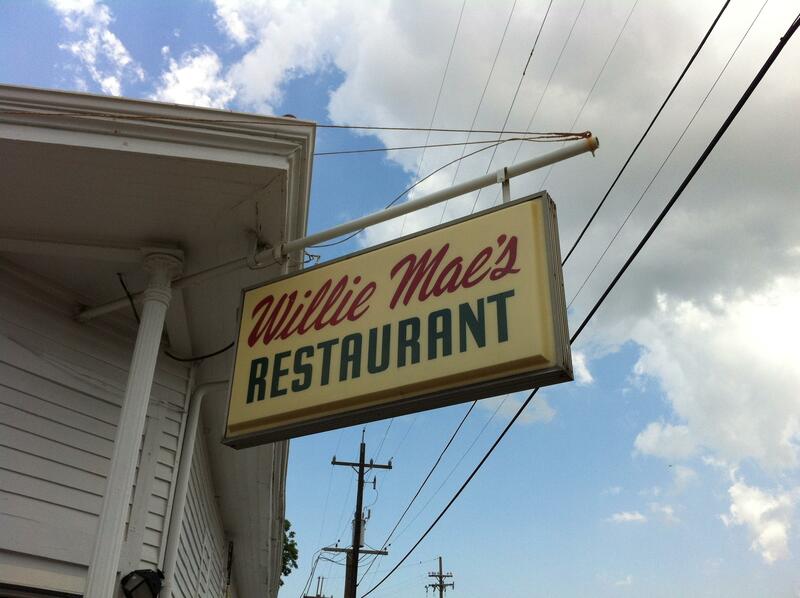 Willie Mae’s Scotch House, situated in the Treme district of New Orleans, originally started as a bar in the 1940’s until Willie Mae Seaton started cooking fried chicken. Eventually, the food took over. After the building was destroyed by Katrina in 2005, $200,000 was privately raised and subsequently donated to get the house up and running again and it reopened in 2007, now sitting proud amongst an array of post-Katrina abandoned buildings. Locals say that this place was one of the first buildings to be renovated after the storm, which says something about how important Willie Mae’s is to New Orleaneans. It took about 20 minutes from sit down and order to be served a fresh platter of fried chicken. My first thought turned to the size of the actual chicken pieces. The batter looked as though it was double layered, through some sort of double or triple dipping process. My friend Kathryn, a Louisiana gal through and through, described it best: The batter tastes, crunches and crumbles like tempura. In terms of seasoning, I’m convinced that there was just salt and pepper, yet surprisingly not over-salted. So it wasn’t the full-on spice explosion I’d perhaps naively imagined but that’s not to put it down: the chicken itself was substantial, incredibly moist, fall of the bone tender. 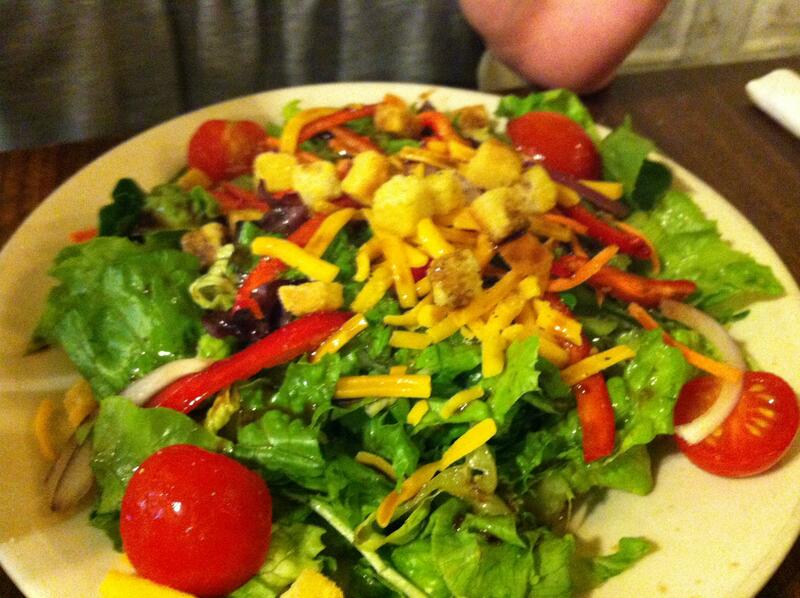 The platter came with two sides, one of which was a green salad. 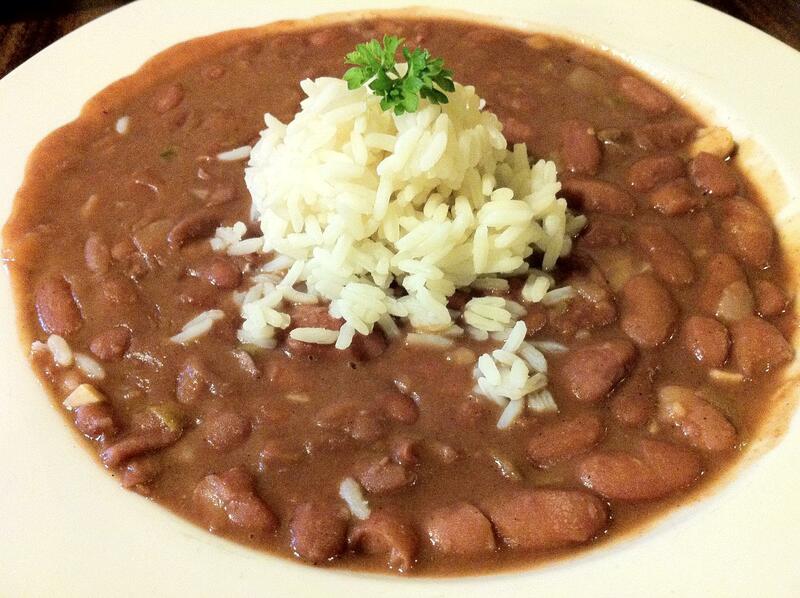 The other was a red bean dish which was a true revelation. You’re given a choice of red or white beans and I opted for red. A bowl of red bean stew cooked with ham hock was served with the chicken: vastly superior to the usual French fry accompaniment. Something so simple I’ve been meaning to replicate but haven’t quite got round to doing yet. When I do I will share, because the beans stick in my mind as much as the fried chicken itself. The food reaffirmed my love of fried chicken. I may have been wrapped up in the delight of the mere experience of finally eating fried chicken in the Deep South, but more than anything it brought a poignant end to a trip with hundreds of memories. Despite that, I know exactly where I’ll be going on day one of my next trip to New Orleans. 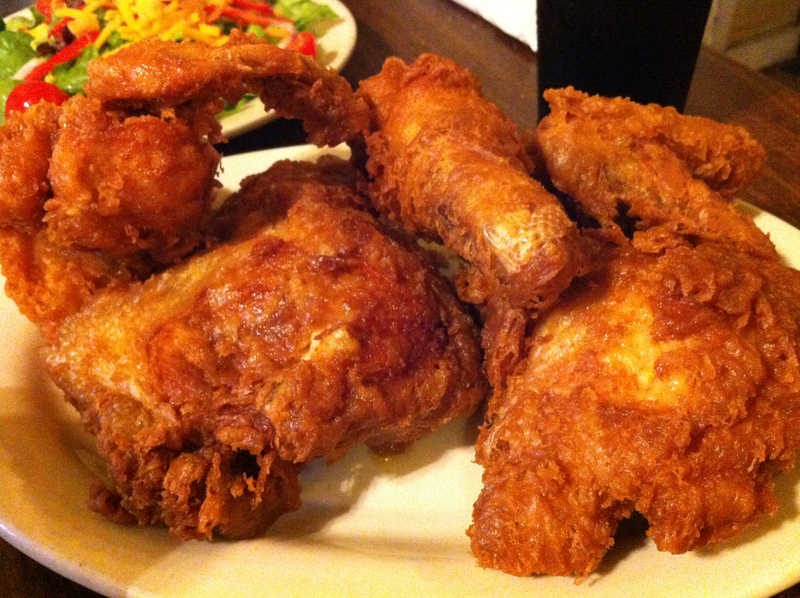 This entry was posted in Chicken, Fried Chicken, New Orleans and tagged Beijing, Bristol, Fried Chicken, Ham Hock, It's Feeding Time, Louisiana, New Orleans, Red Beans, Simon, Willie Mae's Scotch House. Bookmark the permalink.